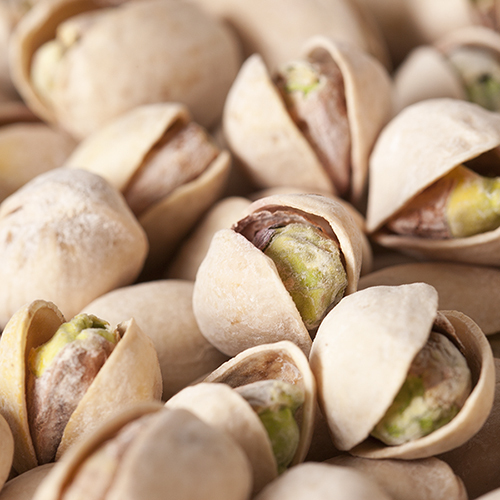 Dry roasted pistachios wrapped with rich butter toffee, milk chocolate and confectioner's sugar. 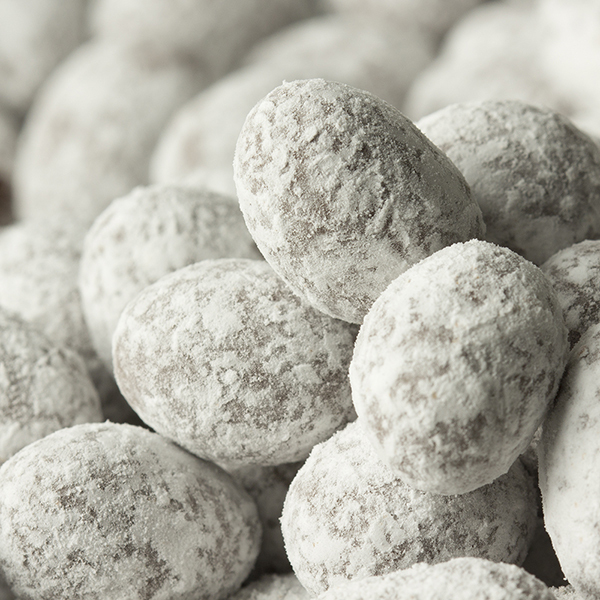 Dry roasted California pistachios wrapped with rich buttery toffee and creamy milk chocolate with a dusting of confectioner's sugar. Pure joy in a bite. NUTRITION FACTS: Serv. Size: About 1/4 cup(40g). Servings: About 6. Amount Per Serving: Calories 210, Fat Cal. 120, Total Fat 13g (20% DV), Sat. Fat 6g (30% DV), Trans Fat 0g, Cholest. 10mg (3% DV), Sodium 65mg (3% DV), Total Carb. 22g (7% DV), Fiber 1g (4% DV), Sugars 20g, Protein 4g, Calcium (6% DV), Iron (2% DV). Not a significant source of Vitamin A or Vitamin C. Percent Daily Values (DV) are based on a 2,000 calorie diet. 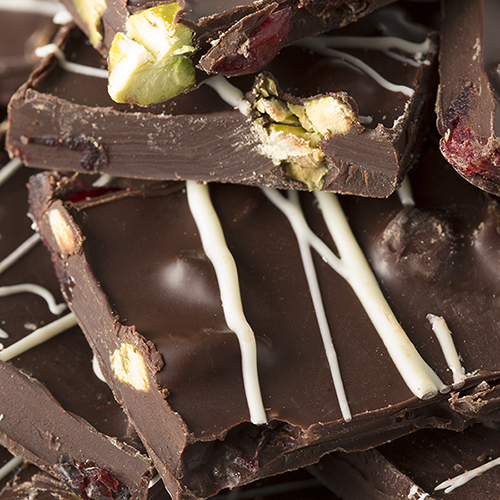 INGREDIENTS: MILK CHOCOLATE (SUGAR, WHOLE MILK, COCOA BUTTER, COCOA MASS, SOY LECITHIN (AN EMILSIFIER), PURE VANILLA), PISTACHIOS, SUGAR, TAPIOCA DEXTRIN, AA GRADE BUTTER (CREAM, SALT), SALT.